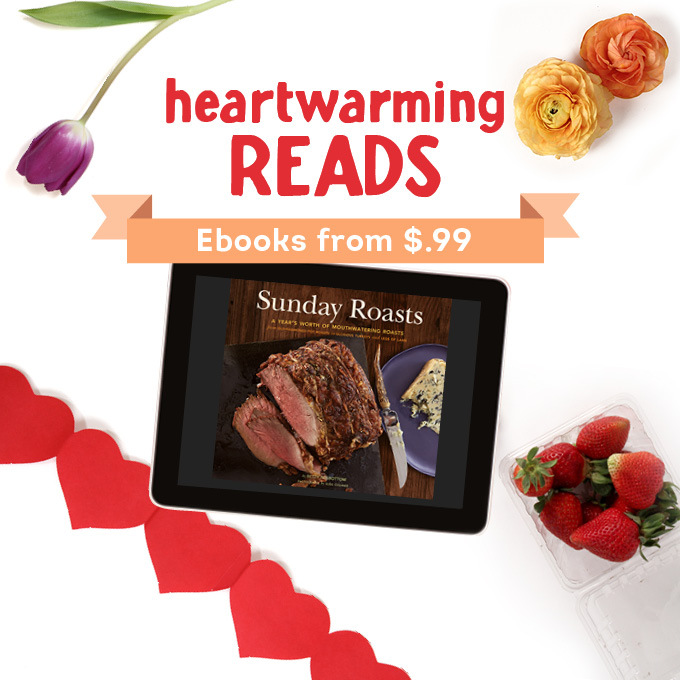 I’m excited to let you know that Sunday Roasts has been selected as a Chronicle Eye Candy book for the month of February. That means that you can purchase an E-copy of the book for $3.99 or even less using any of the six e-retailers below. How great to have this book which features a year’s worth of delicious roasts and sides! available digitally on your favorite device. Want an idea of the many delicious recipes available? My post last week for Old Fashioned Pot Roast was straight out of the book! This entry was posted in Food News and tagged e-book, sale, Sunday Roasts by brosbottom. Bookmark the permalink. Felicitations Betty!! Way to go! Thanks, Stephanie. It’s a really good deal. I’m even buying one so I’ll have a copy of the book on my computer!